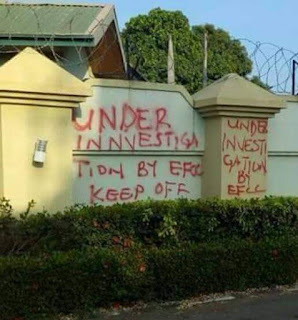 The Economic Financial Crimes Commission (EFCC) has sealed three properties belonging to former governor of Benue State, Gabriel Suswam. 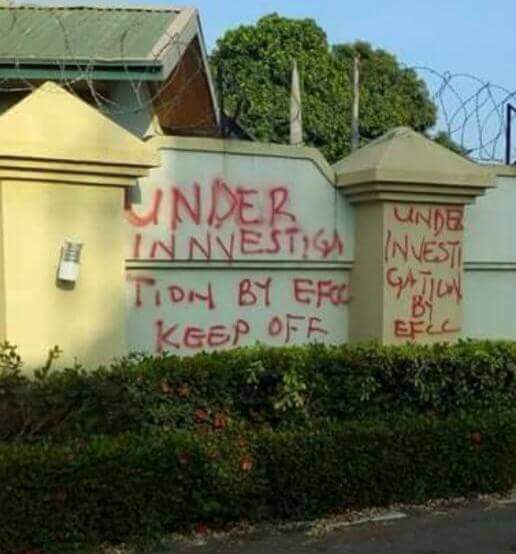 The properties with inscription ‘EFCC keep off’ on them, included: the Metropolitan hotel along FMC road, a residential building still under construction by the river side and his family home in HUDCO quarters all in Makurdi, Daily Trust reports. The action of the EFCC might not be unconnected with the alleged misappropriation of N107 billion by Suswam as contained in the Justice Elizabeth Kpojime’s Panel of Inquiry which indicted 52 other people. The panel set up by incumbent Governor Samuel Ortom on his assumption of office had alleged that the people tampered with the state funds in various ways during Suswam’s reign in the state between 2007 and 2015. Meanwhile, Suswam and the Finance Commissioner under his administration, Omodachi Okolobia are still standing trial for allegedly defrauding Benue state government the sum of N3.1bn while in office. They were on November 10, 2015 arraigned before Justice Ahmed Mohammed of the Federal High Court, Abuja on a 9-count charge bordering on allegations of financial impropriety and money laundering.